Discussion in 'Festival Plaza' started by Absolute Zero, Apr 1, 2019. Wonder Trade recruiting is back again! Out of the grave and back into our hearts, our recurring segment in which we work together throughout the month to send out quality Pokémon nicknamed with a special URL out to the world through Wonder Trade, to lead those Pokémon's recipients to the lovely Lake Valor. 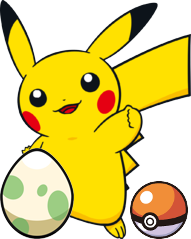 - Breed a bunch of impressive Pokémon. - Nickname them all "tradepkm.net", which is a redirect URL to Lake Valor's homepage. - Send them out en-masse on Wonder Trade, letting us know every time a full box makes it out. It's as easy as that! Now, when I say "impressive Pokémon", I'm talking about Pokémon with great IVs, or with egg moves, or with preferable natures; all that good stuff. If you're unsure what any of that means, just ask me, Absolute Zero, and I'll be glad to clarify. 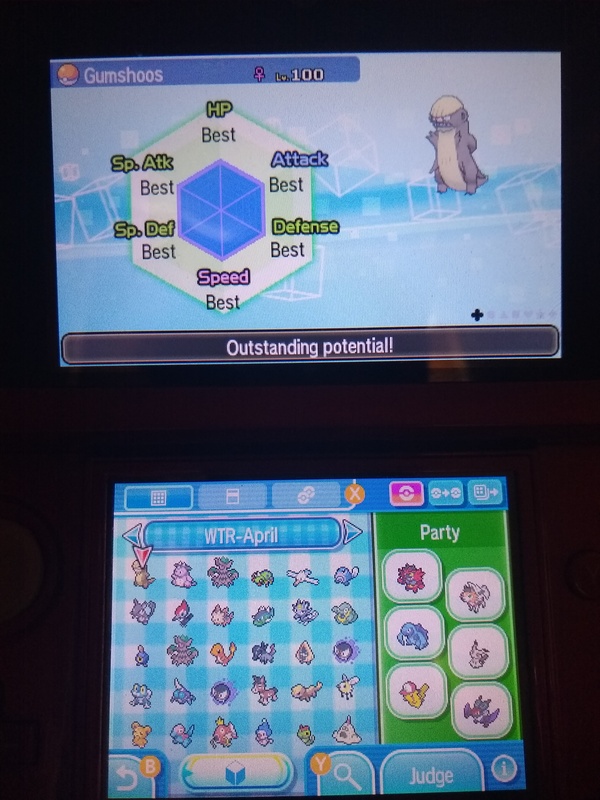 Now let's be generous to the Pokémon Trainers of the world: Wonder Trade sees enough unloved Pikipek as it is, so we should give away something nice. - All Pokémon must be nicknamed "tradepkm.net" (so people are redirected back to LV when they try that url). - For this to count, you must post complete boxes. You may send these out anytime during the month, but only full boxes earn points. - Your must take pictures of your entire box as proof before and after Wonder Trading or you will not be eligible for prizes. Check just about any previous edition of this event for an example of what works. - To get prizes for getting someone to join through our WT, please post again here with a link to their profile page or their Intro Lobby thread. - For every full box you trade away, you'll earn a nice 20 PokéPoints for yourself. - If the Pokémon that brought a new member here has your OT, you'll get another-another 50 PokéPoints. - This means that if you send out just one box of 30 Pokémon and bring a member here, you'll get 70 PokéPoints and a new friend. Is that great or what! - Once you send out a total of 10 boxes, you become eligible for the Wonder Trade Operative medal on your profile page. This is 10 boxes total, not 10 boxes in one month; so please pace yourself! - This thread will close at the end of the month and a new one will go up not long after. - If you're unsure of how to breed impressive Pokémon, or if you think it's too hard, send me a PM or find me in Discord. It may seem like a time consuming process but surprisingly, it is not. If you're a first timer, I'll even help you set up with a neat little breedable Pokémon for free. Or if you still feel like you're bothering me, and I assure you that you are not, then you can check out my fairly exhaustive how-to-breeding article here https://lakevalor.net/threads/negative-zeros-guide-to-breeding-excellent-pokemon.23112/. - Please try to make your photos clear. You don't need to go all-out with an enormous 4160x3120 pixel image, but it's important to be able to read things like your OT in these screenshots. Please refer back to just about any previous iteration of this event if you're looking for clarity on what makes a good picture for this purpose. One more thing! We're mixing things up from last time: Not only is The Event Formerly Known as WTW now a monthly event, but there are also monthly themes for 1.5x points! Every box you send out that 100% matches the theme gains 1.5x the points, and the same goes for the traded Pokémon that brought a new member here. For instance: next month's theme will be Starter Pokémon, so if you send out a box that's populated entirely with Bulbasaurs, Cyndaquils, and Mudkips, etc, you will gain 30 pp for that box instead of just 20! And if one of your Turtwigs named tradepkm.net is one that brought someone here, then the pp bonus for that will be 75 instead! The theme will be announced one month in advance, so that all is for next May 2019. This month's theme is: ALL Pokémon! Every Pokémon named tradepkm.net that you send out this month, no exceptions, gains this 1.5x pp bonus! Don't use this as an excuse to send out unfavorable Pokémon, we still want to be generous to the Pokémon trainers of the world! Also, uh, mention this bonus when you post your pictures, just this once. It lets me know I'm being heard, and I crave external validation. And any points from WTW 22 (the previous edition of this event) will be re-distributed shortly, per the rewards system active at that time. All right, that should cover it. Now let's get busy and spread the word! I'm joining in. I'll edit the post soon with screenshots. Added 3 more boxes for this month starting with starly, sandygast, and spiritomb. I forgot to mention that all of my mons have atleast 5 perfect IVs, 4 egg moves in most cases, and beneficial natures. These mons are left over from previous shiny hunts. Yay, this is finally back! 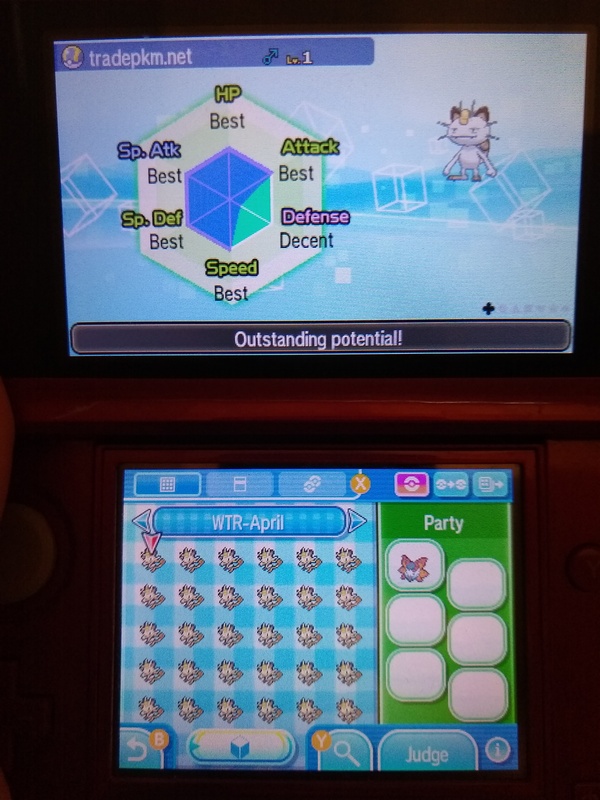 I just sent out a box of Kanto Meowth, each with at least four perfect IVs. 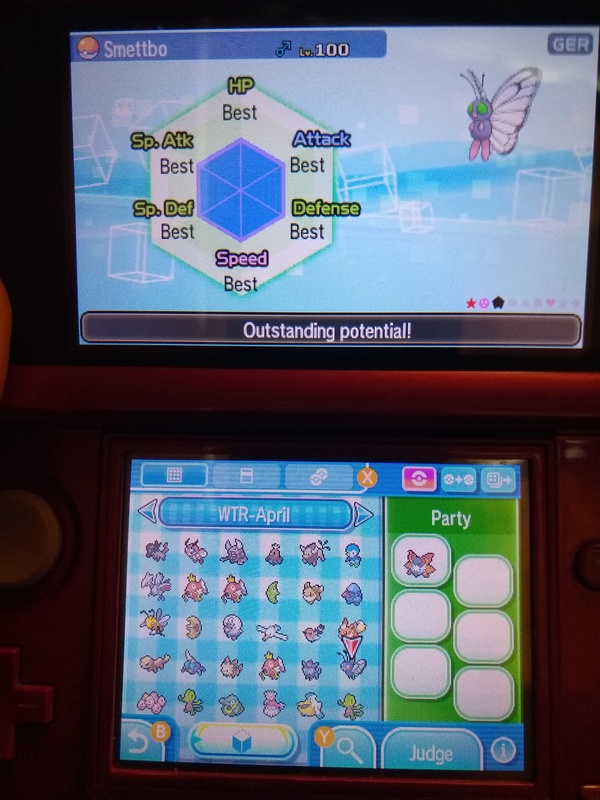 I didn't really get anything interesting in return other than a 3IV Treecko, a 4IV Piplup and... a 6IV shiny Butterfree? Sweat! I'm definitely going to be using this guy for breeding. 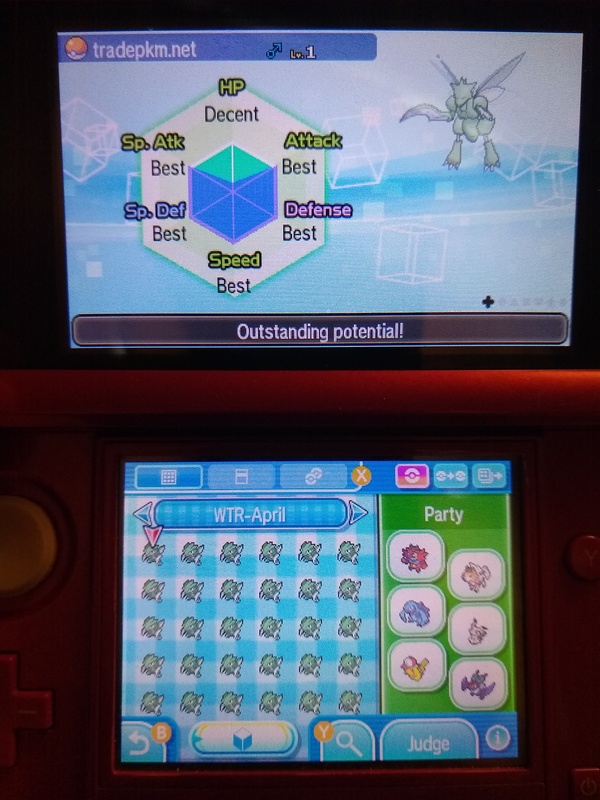 Update: I just sent out a box of Scyther, each with at least 4 perfect IVs. In return I actually got a few Pokémon with good IVs, including a perfect IV Gumshoos.